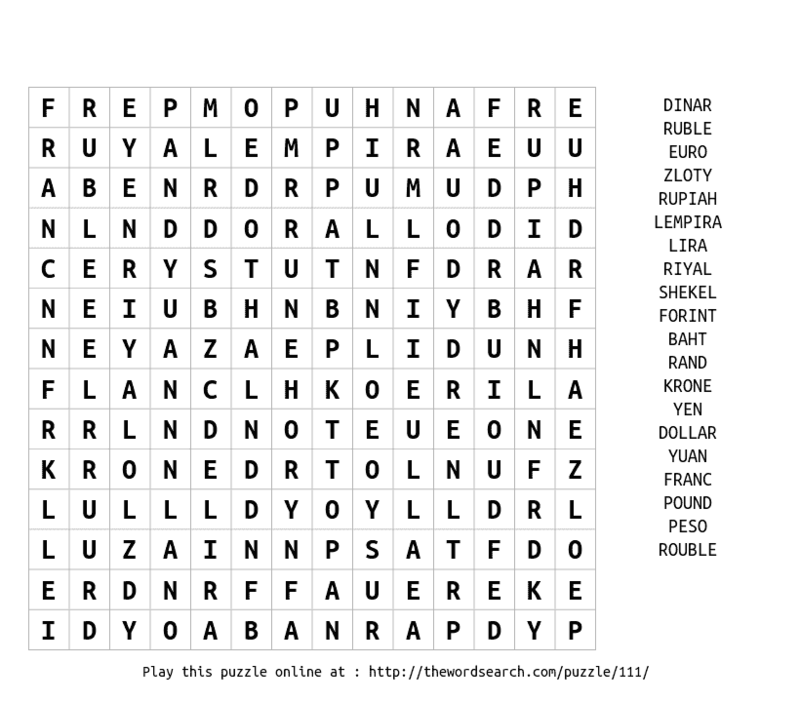 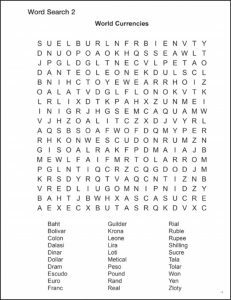 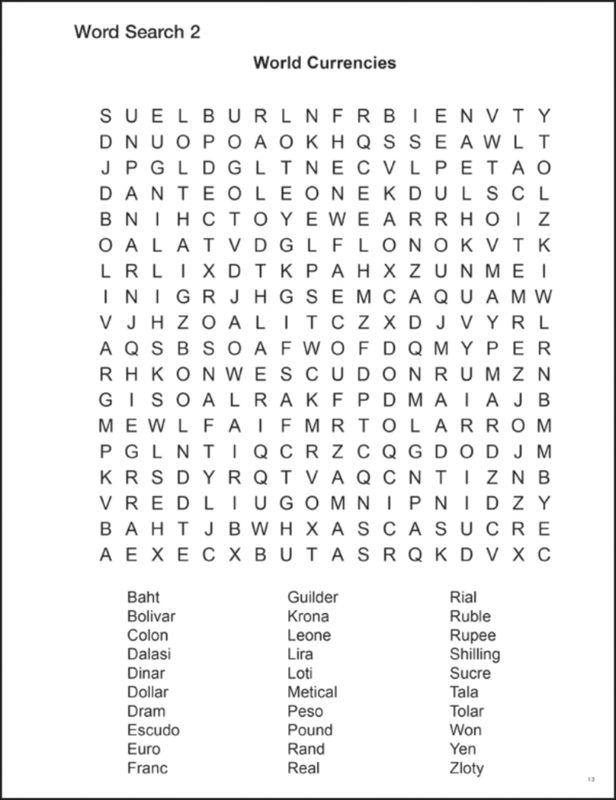 Currencies word searches increase your knowledge about the different currencies of the world. 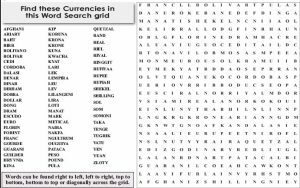 You have the currencies of the different countries enlisted on the worksheets and you get to find and encircle them in the grid of alphabets. 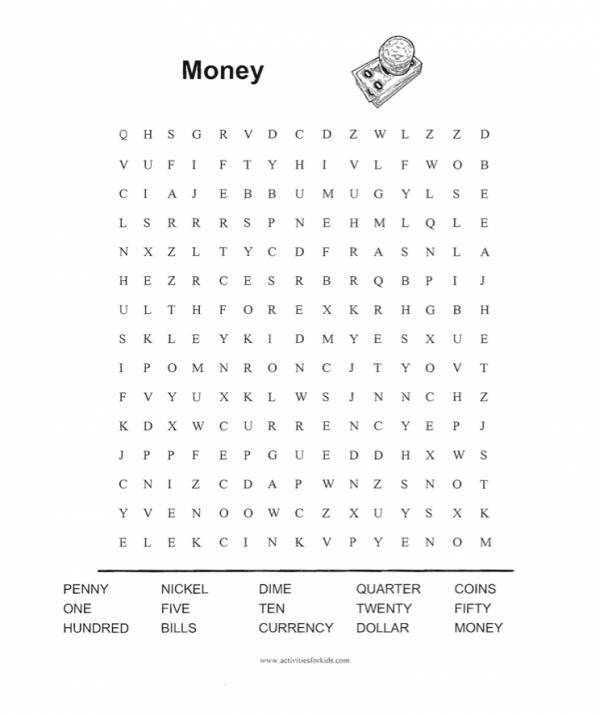 Children would like to solve them in class. 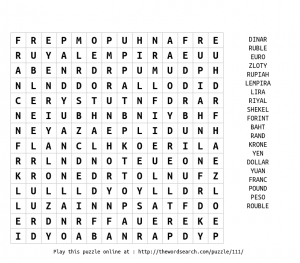 Adults can solve them during games at fetes. 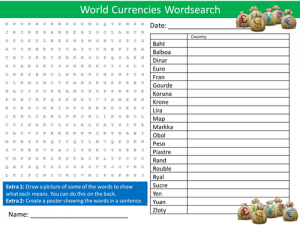 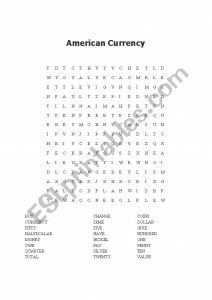 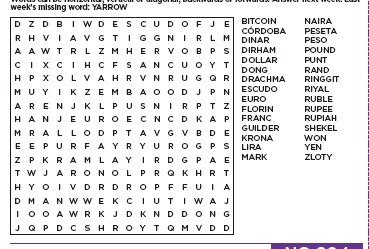 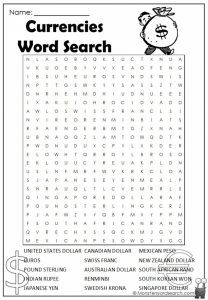 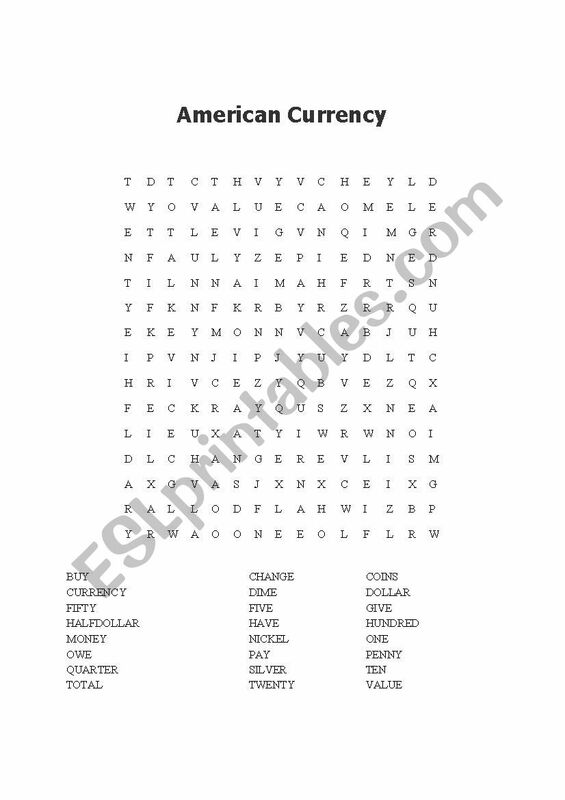 If you are playing a currencies word search game, you can set a timer and check how many people can find the maximum currencies in the freely printable pages within the specified time. 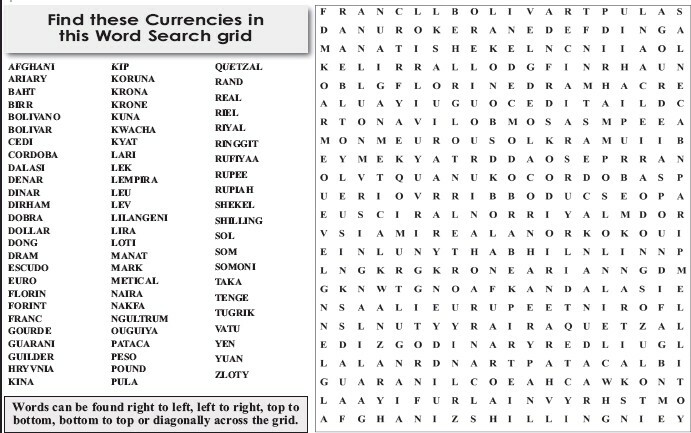 Kiddos would find it amusing searching for currencies. 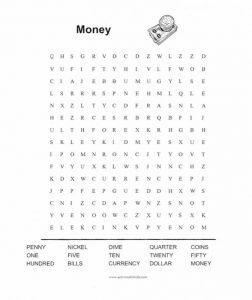 Even adults would find it thrilling completing the sheets. 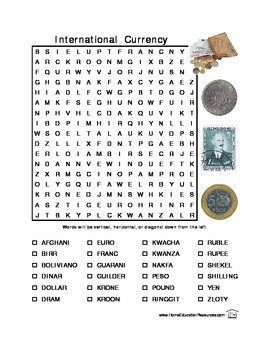 There are so many terms for money in the world. 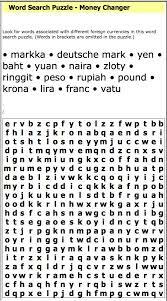 Its value reflects the economic stature of a country and it is good to know their names. 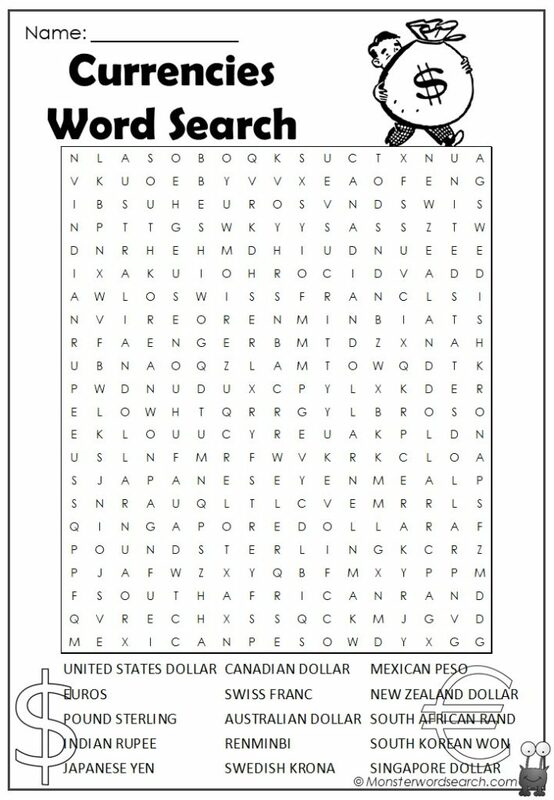 The fun of a word search comes as a plus.